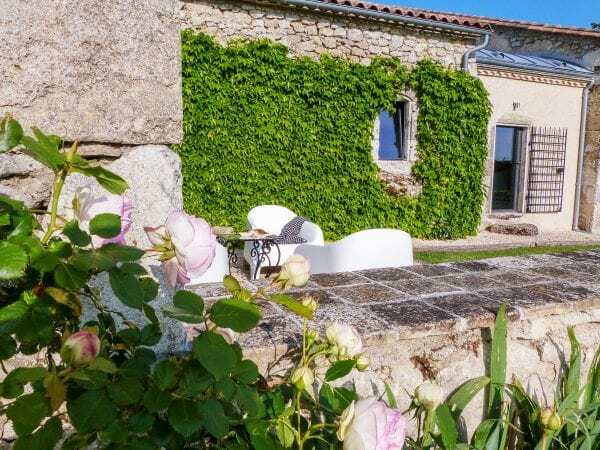 Maison Fontaine is a luxury French holiday home with a private gated heated swimming pool, ground floor bedrooms and is wheelchair friendly. 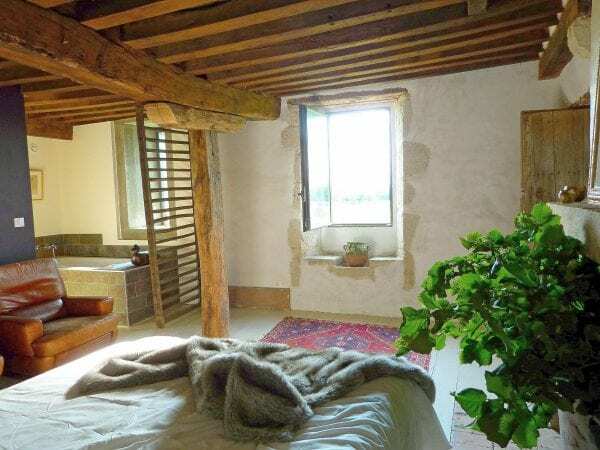 Maison Fontaine is set near the village of Baleyssagues between Bordeaux and Bergerac near the Dordogne, close to Saint Emilion in south west France. 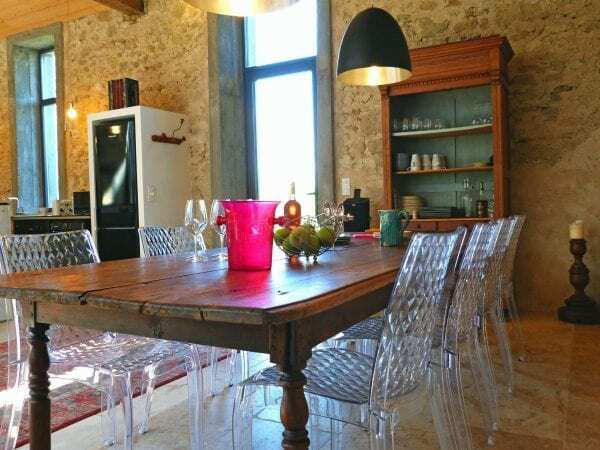 La Champetre holiday villa, Duras. 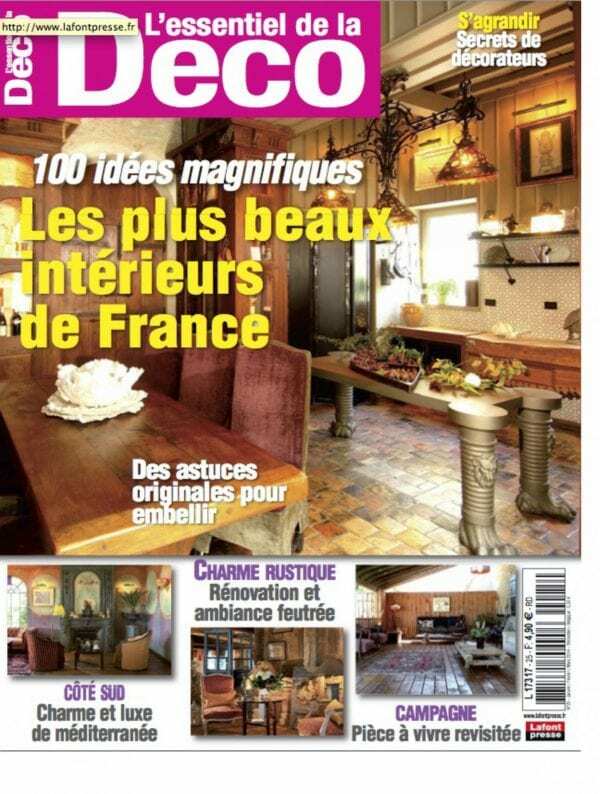 Featured with an 8 page spread of the house decoration magazine a L’essentiel de la Deco. 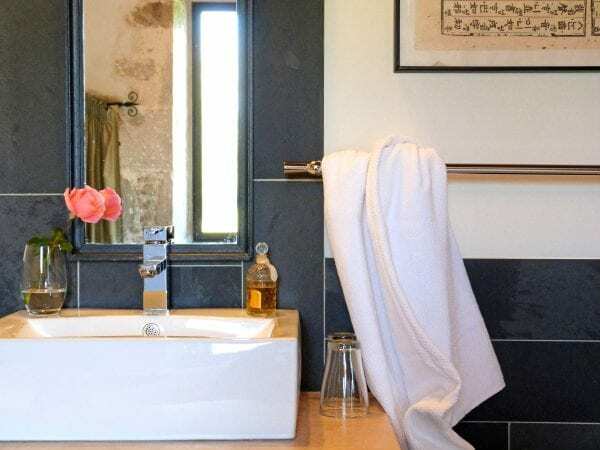 Offering French sophistication, effortless natural elegance & genuine laid-back charm the tranquillity of Maison Fontaine. 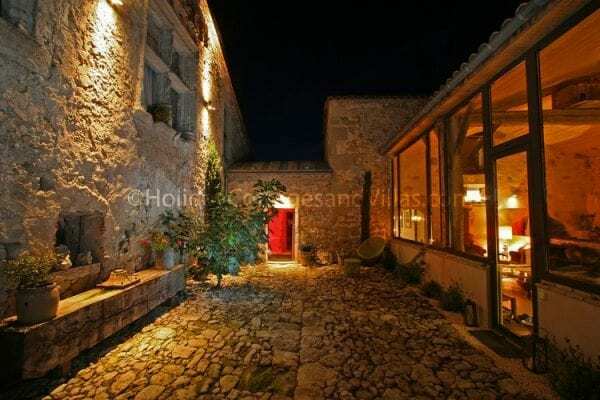 The building dates back to the 12th century and is wrapped around a beautiful cobbled courtyard, lending a serene calm to this medieval property. 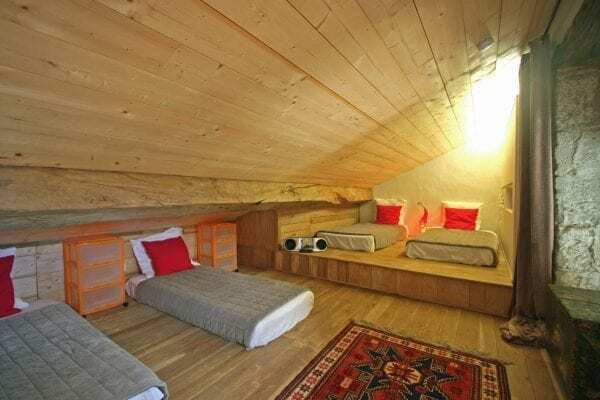 Suitable for up to 6 adults and 4 children, set over 180m2. 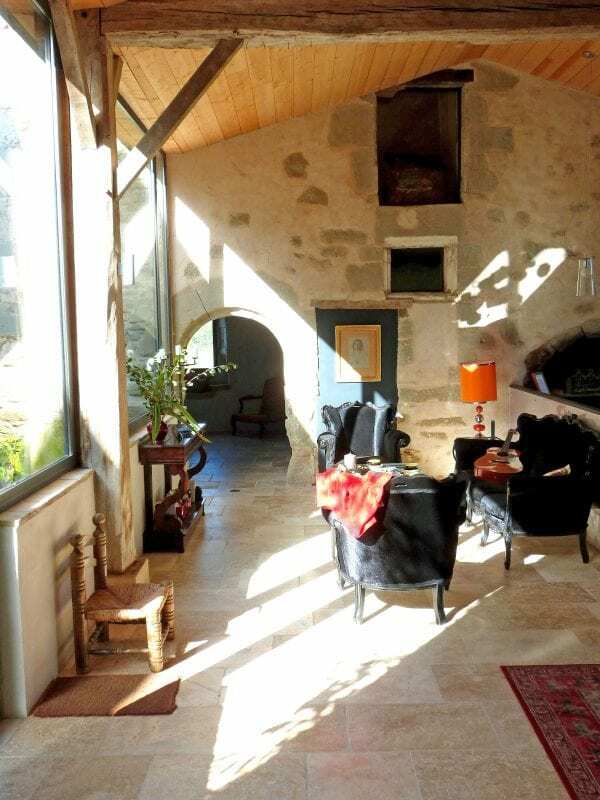 Maison Fontaine is positively organic in its make-up – the stone walls are thick, providing a unique insulation from the summer heat; huge glass windows allow natural light all day. 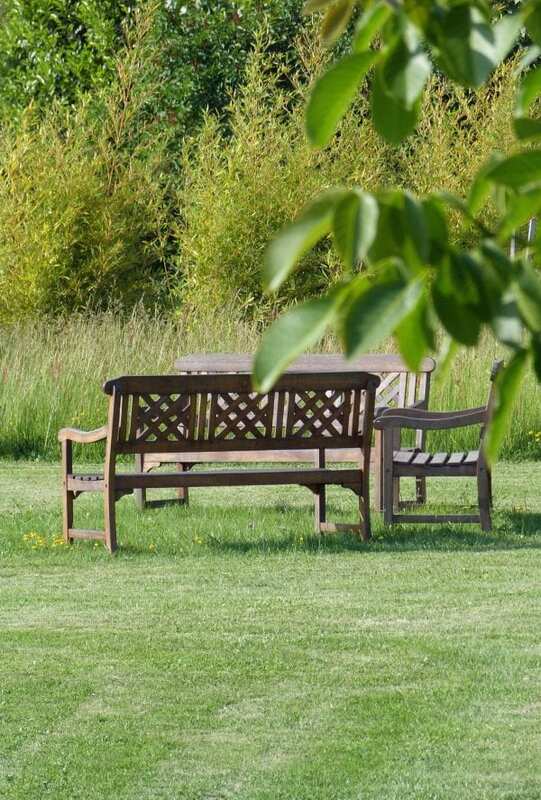 A private shady terrace overlooks the pool, orchards and fields, it is a naturally tranquil haven. 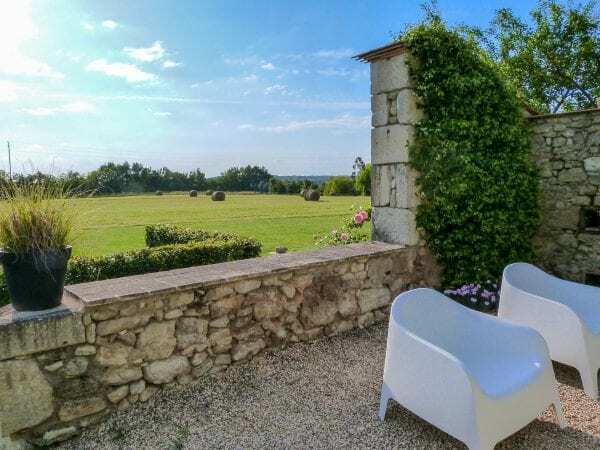 Situated near the towns of Monsegur and Duras in the region of Aquitaine within the Bordeaux wine region and on the border of the Dordogne, Gironde and Lot et Garonne. 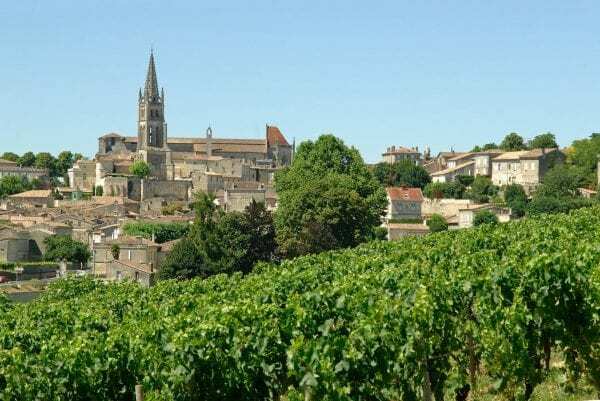 Set in the countryside between Bordeaux city and Bergerac, Saint Emilion is a short drive away. 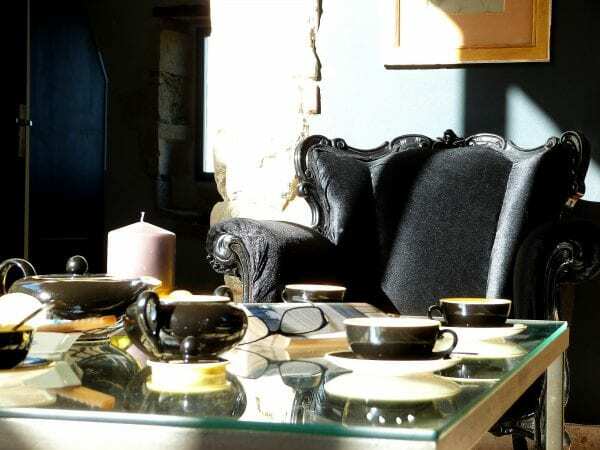 These picturesque bastide towns are host to weekly traditional French markets where the villagers shop for local produce and meet friends, enjoy a coffee and croissant and watch the world go by. A popular night market is also held each week during the summer months where street food and entertainment are the backdrop for the evening. 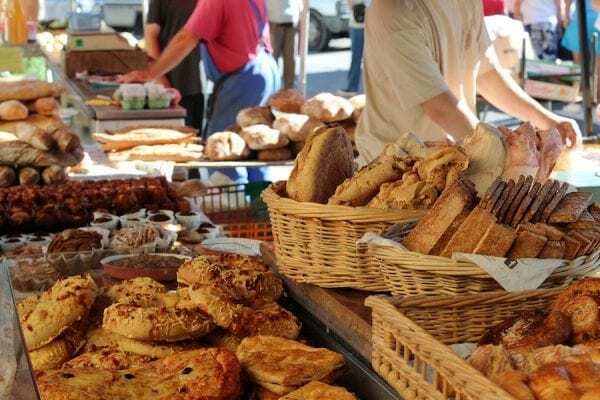 Each town offers a good selection of restaurants, cafés, bars, pharmacie & banks with ATMs as well as the all important boulangerie for fresh croissants and crusty bread and beautiful chocolaterie selling hand made delicious chocolates and gifts. A comprehensive Carrefour supermarket & petrol station can be found at Duras (4km) or Monsegur (7km). Larger hypermarkets are available in La Reole (30km), Marmande (24km) and Sainte-Foy la Grande 23km. Catering is available at the house, the chef is very popular and you will need to reserve this at the time of booking. 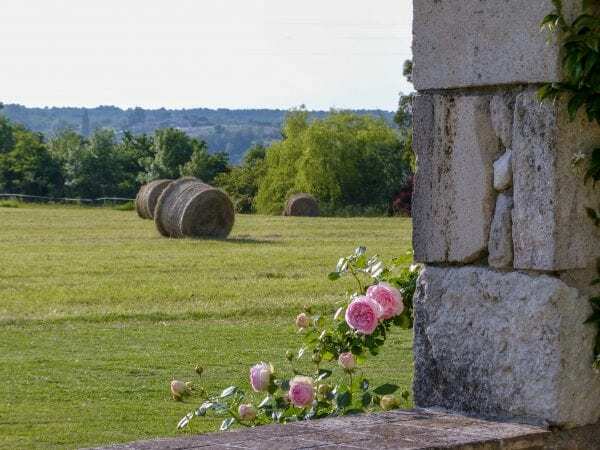 Maison Fontaine is an ideal central location to explore Bordeaux, Bergerac and the Dordogne region. 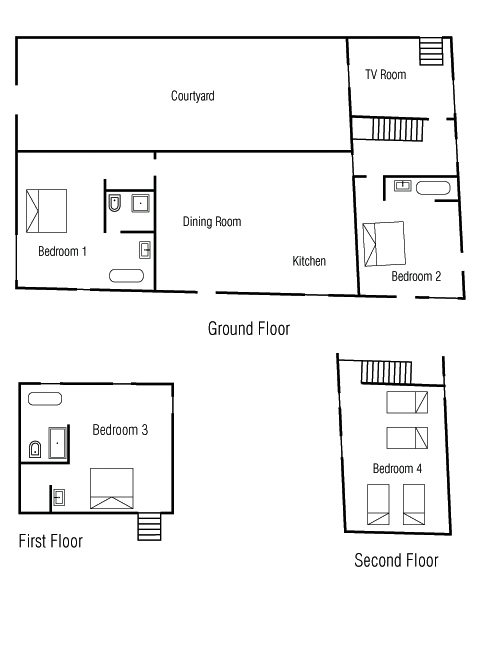 3 double bedrooms, beds are 160cm wide, 200cm long. 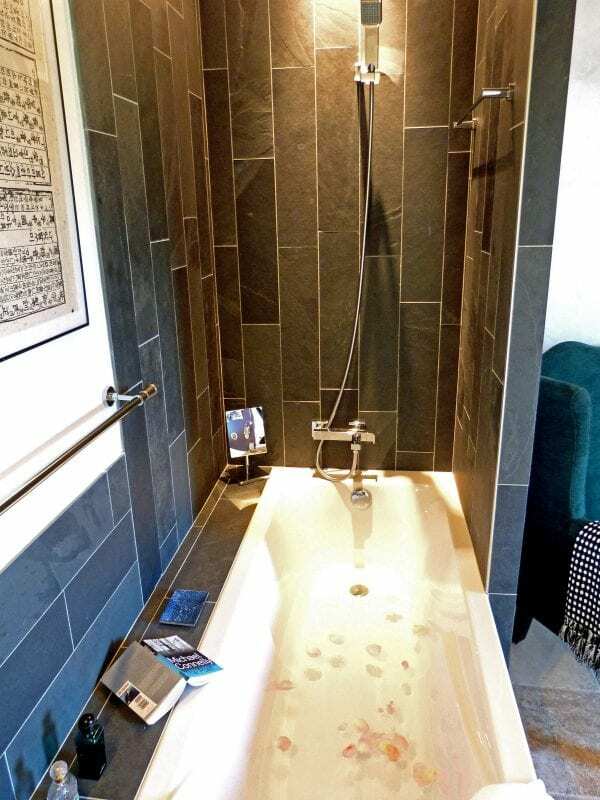 Bedrooms 1 and 2 have their own open plan luxury bath, walk-in shower and wc. Bedroom 3 has a bath with a shower, the wc is situated next to this room and is shared with bedroom 4. With four fabulous luxury bedrooms (one of which is wheelchair accessible) sleeping up to 10 in comfort. Three bedrooms all have generous kingsize beds which are height adjustable at each end for added comfort, open-plan en-suite bathrooms. All three bedrooms are easily large enough to place a cot. The fourth bedroom is a children’s paradise – a dormitory den with 4 beds where a secure glass window overlooks the main sitting room, allowing a sneaky peep of the babes at bedtime. 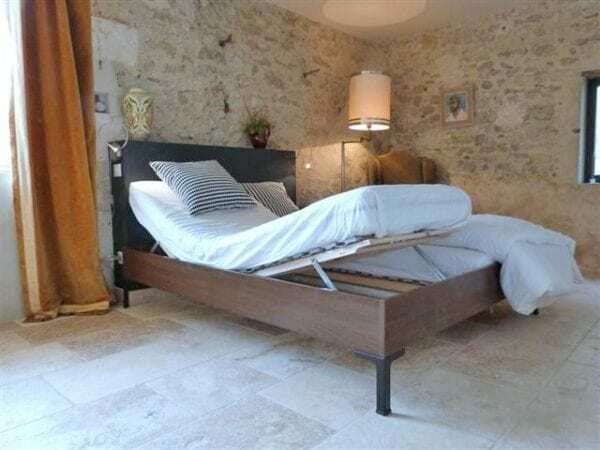 Beds measure 80cm wide, 190cm long. 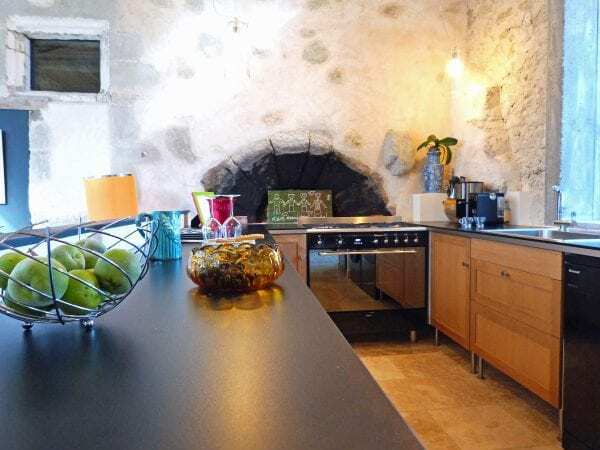 The kitchen is very well stocked with everything even the most discerning holiday chefs could require including fridge freezer, gas hobs, dishwasher, food processor/blender, juicer etc. Dishwasher tablets and cleaning products are supplied. 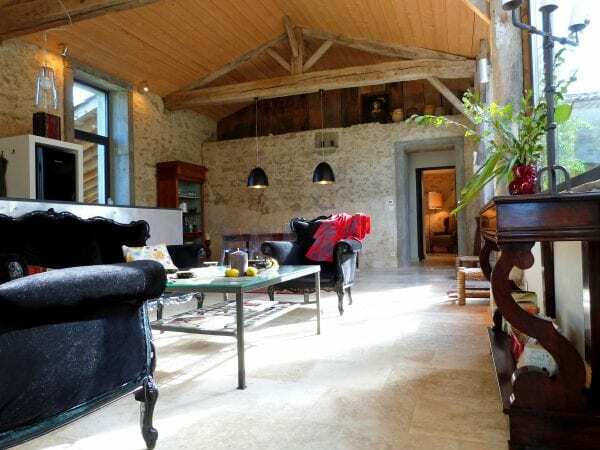 Overlooking the courtyard to one side and the pool on the other, the main living room of the property is a fabulous open plan space which encompasses kitchen, dining area and sitting room. A second sitting room doubles as the TV room with a large flat screen TV, DVD player and stack of DVDs, books and board games. There is complimentary Wi-Fi and a printer to enable guests to scan or print documents. Heating is available at an additional cost in winter months. Bed linen, bath towels and pool towels are all provided and are included in the price. 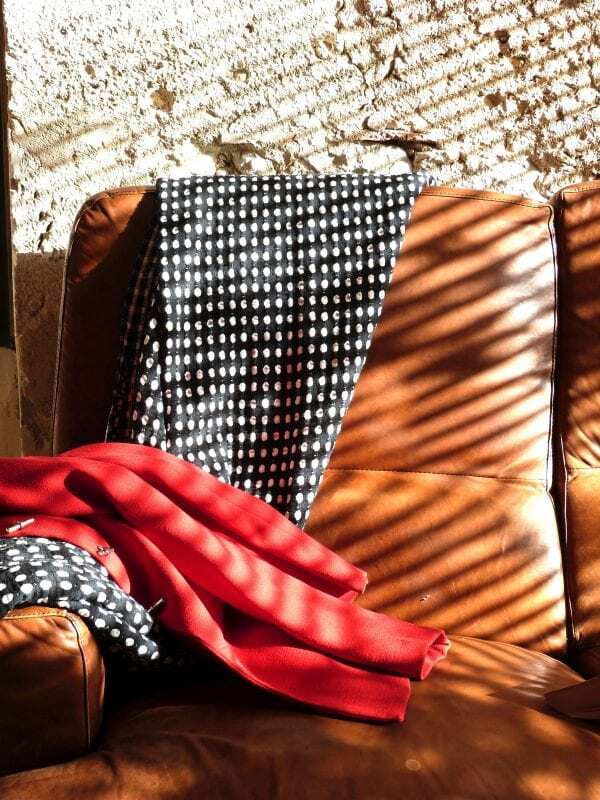 Bookings of 2 weeks or more receive a complimentary supply of linen every week and a 4 hour clean. 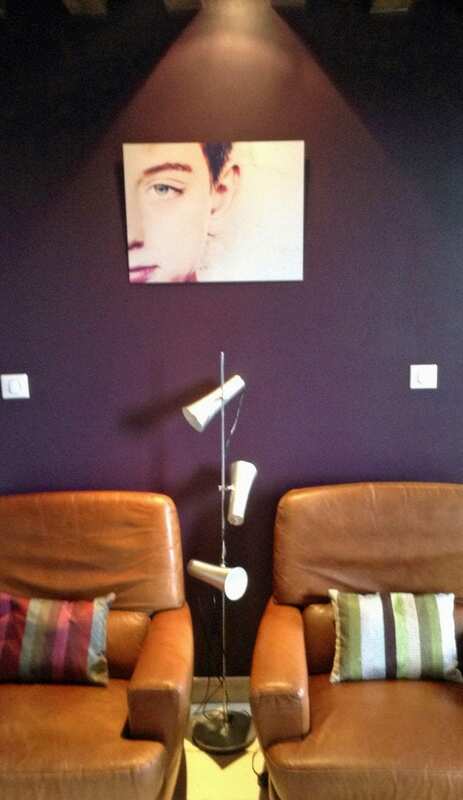 There is also a hairdryer for your use. 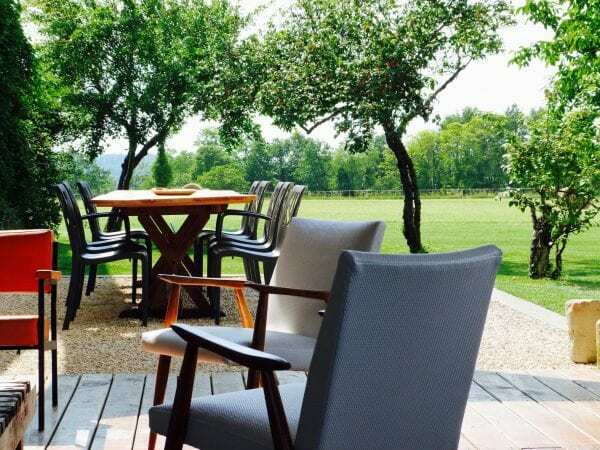 A large barbecue is on hand – ask owners Fabienne and Frederic for some of their vines (Fabienne’s family have a superb Cotes de Duras vineyard). Far reaching views and perfect to see those stunning sunsets. 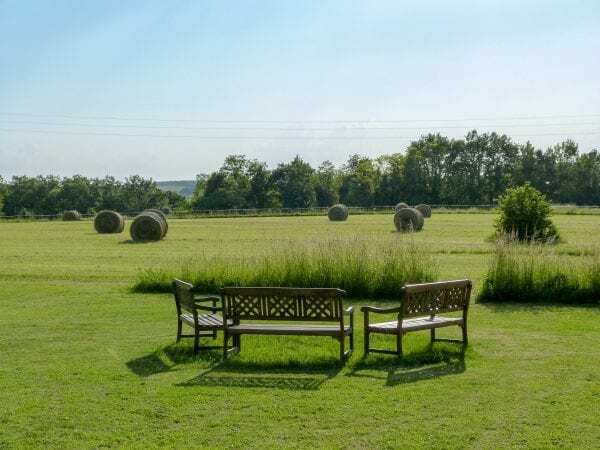 The beautiful 12m x 4m swimming pool, overlooking fields and orchards, is both alarmed and fenced and gated with generous steps which stretch the entire width of the pool leading you into the shallow end of 1.10m in depth, the deeper end is 1.40m deep. Please see Prices page for more information about pool heating. A cot and high chair can be provided upon request. Lots of games and toys etc. More information on whats on locally is in the Local Area tab above. 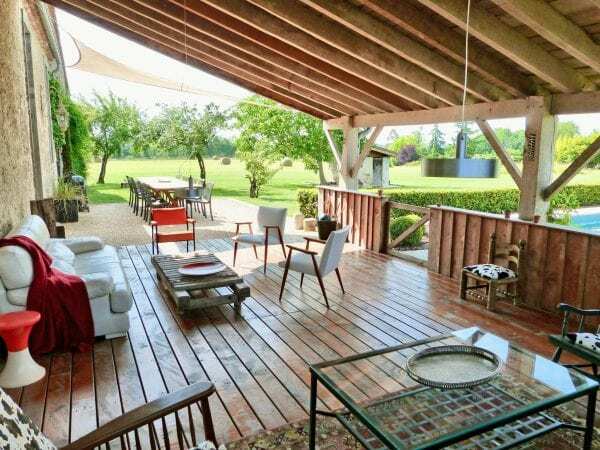 Located in the heart of the Bordeaux famous wine region where there are plenty of vineyards for tastings and tours. 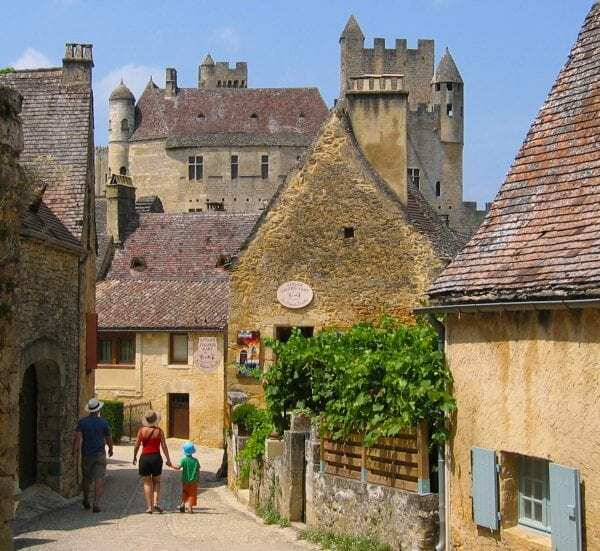 The picturesque towns of Duras and Monsegur are a short drive to excellent dining and shopping and the local farmhouses and countryside perfect for exploring. Weekly farmers markets, restaurants, cycle hire, local adventure park. A fresh water lake with sandy beach at Blasimon is just 22km away and is a popular attraction to take children for a day out. The gently shelving sand provides a safe, fun environment for splashing around and cooling off in the heat of the summer sun. Blasimon lake. Sandy beach at Casteljaloux fresh water lake, 53km. Aqua fun Park with a huge lake, picnic benches, walks, facilities, sandy beach, water sports, kids play area….. its great for adults and the kids. 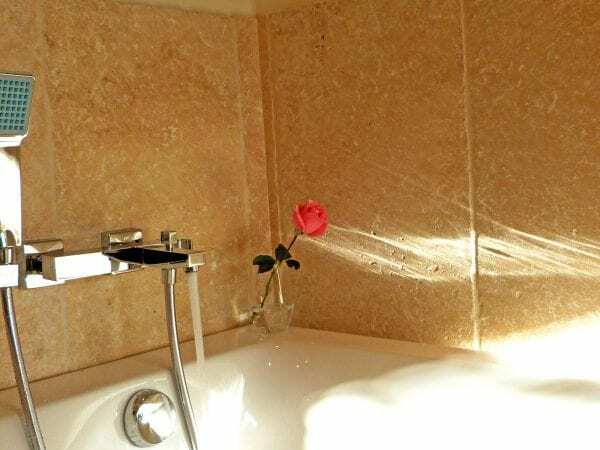 Bedroom 2, set on the ground floor, is wheelchair friendly with a wet room and has flat tiled floors throughout. The bed is height adjustable at each end for added comfort. None of the wide interior doorways on the ground floor have sills or door treads. A purpose made ramp allows access into the property from the garden and covered deck area by the pool, the door however if locked the chair user may find it difficult to unlock the door whilst on the ramp. The 2 steps are 18cm and 16 cm high. 77cm wide, 182.9 cm long, maximum weight it will hold 272 kg, 20% gradient. Door from the pool area into the house, 86cm. Bedroom 2: Door 79.5cm, Shower room with sliding door 68cm, this can be adjusted to 74cm, the door can be taken off giving 77cm. Bed height inc. mattress is 40cm and either end of the bed can be raised to elevate the feet or upper body. Arch doorway 104cm, tv room doorway 86cm. Mainly gravel and lawn. 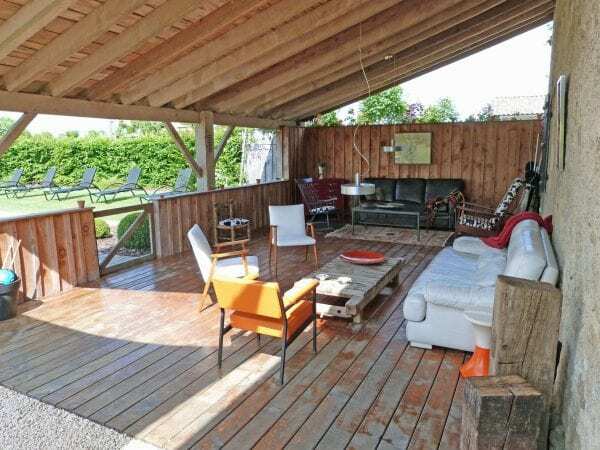 The decked area has a negligible height difference and wouldn’t cause a problem. The pool can be accessed via the lawn through a gate which is 1 metre wide. There is a paved edge around the pool which is approx 5cm high plus the margelles. The rest of the surrounding area around the pool is lawned and is on the same level as the rest of the garden. The owner is very keen to assist in any way possible. 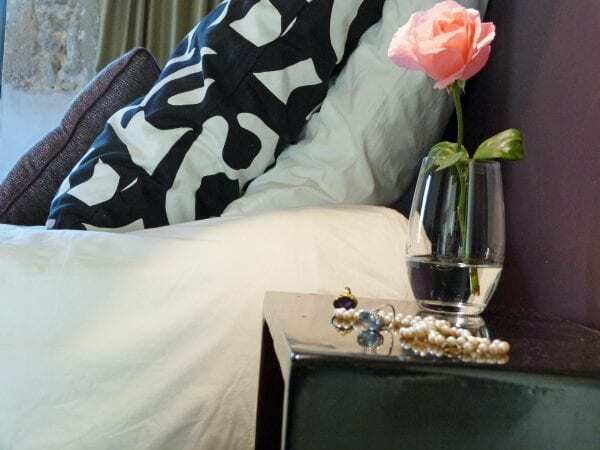 Bookings of 2 weeks or more receive a complimentary supply of linen every week and a 4 hour clean. Pool opening times: April 27th – November 1st 2019. 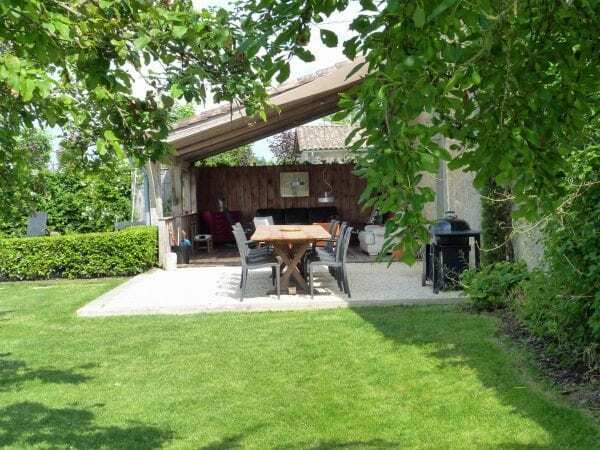 Pool heating is included in the rental price from May 25th – September 27th 2019. Pool Heating during all other dates if required is €150 per week. 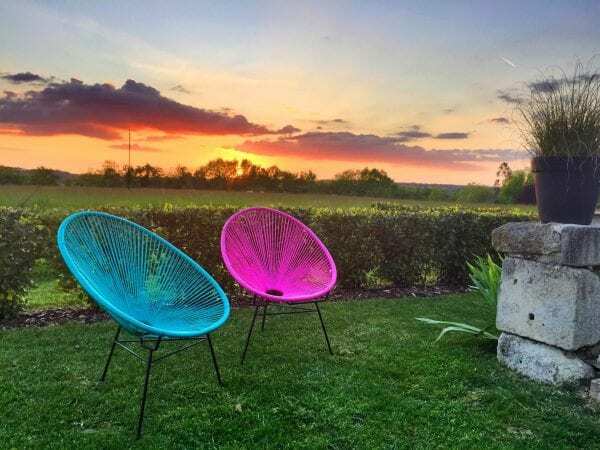 Maison Fontaine is situated near the towns of Monsegur (8km) and Duras (3.5km) in the region of Nouvelle Aquitaine within the Bordeaux wine region and on the borders of the Dordogne, Gironde and Lot et Garonne, France. 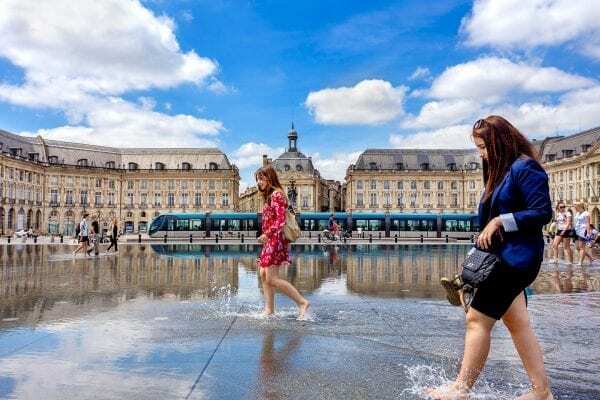 Bordeaux city centre is a 72km drive to the west and Bergerac is 43km to the east, Saint Emilion 41km north. 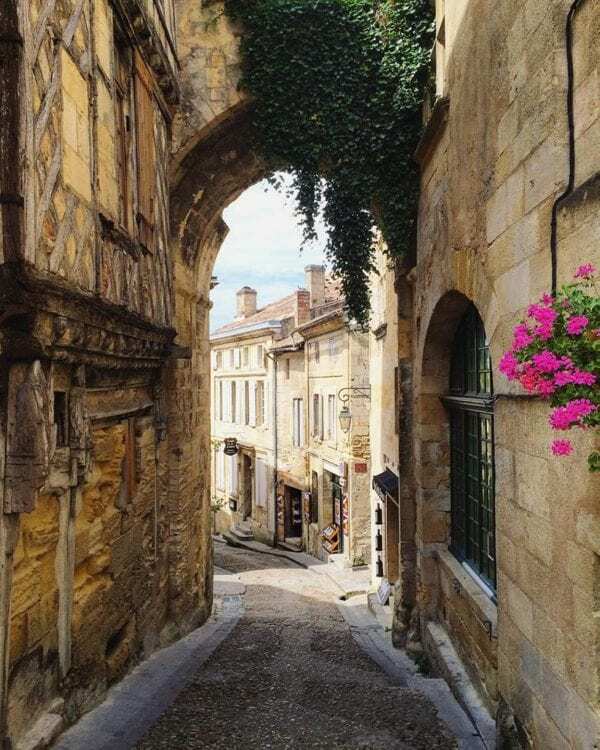 Not to be missed is the world famous St Emilion (40km), a designated world heritage site and is truly stunning. Explore characteristic narrow lanes lined with wine merchants, cafes, restaurants and interesting independent shops. A guided tour of the monolithic church is highly recommended. Carbon road bike hire in Bordeaux, they will deliver to Bordeaux train station for free, they do not deliver to your door but if you are a serious cyclists just ride the bike back to Villa Alouette. Carbon road bike hire Bordeaux. Maison Guinguet gourmet chocolate, they have a very nice shop to visit next to their artisan factory. 4km away. The famous Duras chateau 3km away. Chateau de Duras. Butchers – Boucherie Evrard – Rue Paul Persil, in Duras. Good butcher, next to the place du Marché. Closed on Tuesday and Sunday afternoon. We had a lovely time in your villa ! Great pool, where the kids spent all days. Fabienne & Frederic, my wife and I can’t thank you enough for your wonderful support. 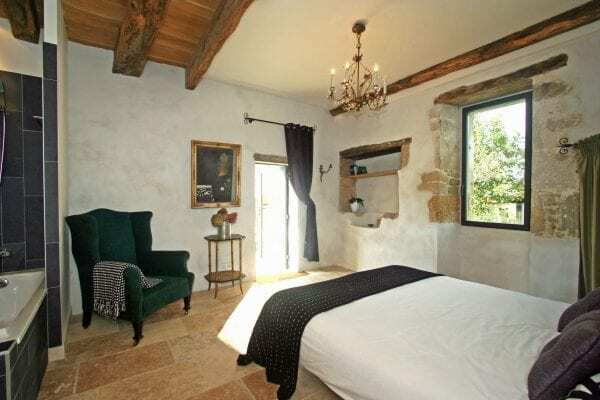 We have stayed in many properties in France and Italy during the past 15 years or so. 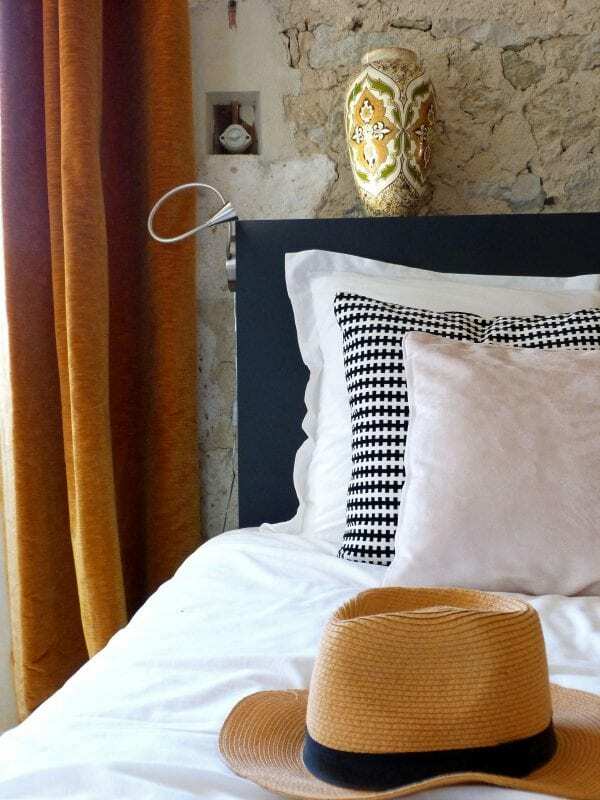 Maison Fontaine is right up at the top of our list. We’ll never forget you ! Thank you for such an amazing villa. All 9 of us have enjoyed our stay. 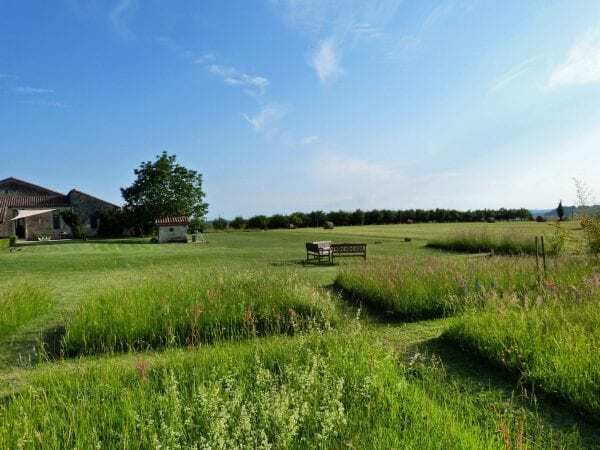 We’ve been to your Villa five times now, every summer and the surrounding countryside is magnificent. We are definitely coming again soon. The pool and the outdoor living room are amazing. We all loved this vacation. I loved climbing in the trees and of course swimming in the pool. The house was very beautiful and clean. It was so worth it ! We have very much enjoyed our stay here. 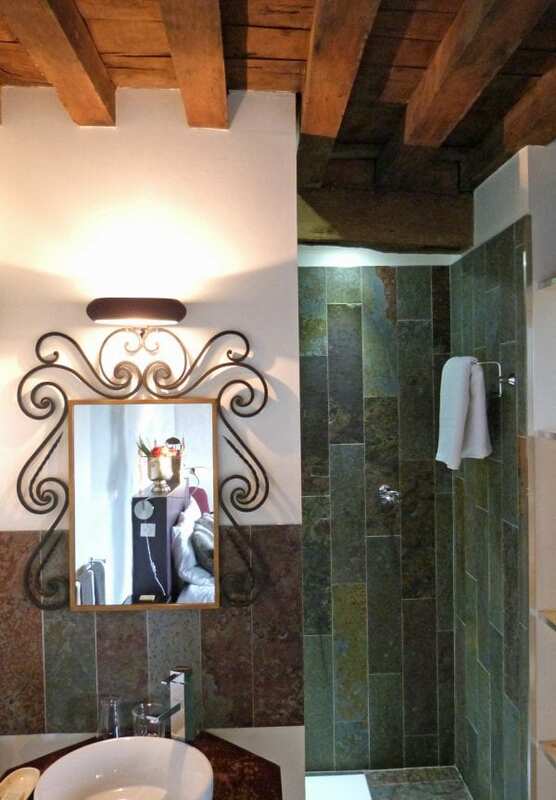 The lovely decoration and feel of the villa combined with the surrounding countryside has made our stay memorable. We have greatly appreciated the provision of outdoor activities from football to boules, helping us to fill our days regardless of the weather. We have made great use of the terrace, either sheltering from the glaring – but lovely- sun or from the occasional thunder and lightening and overall the spaces around the villa have been lovely to spend time in. We had a great time in this beautiful & thoughtfully restored house. 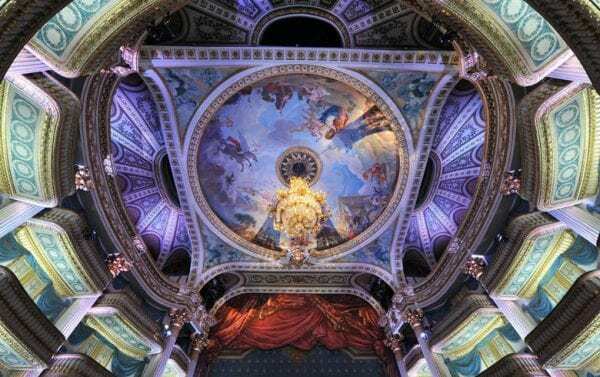 Architectural features highlighted at night are amazing ! Loved the boules. really great welcome pack and the floral decorations in the rooms were a lovely touch. 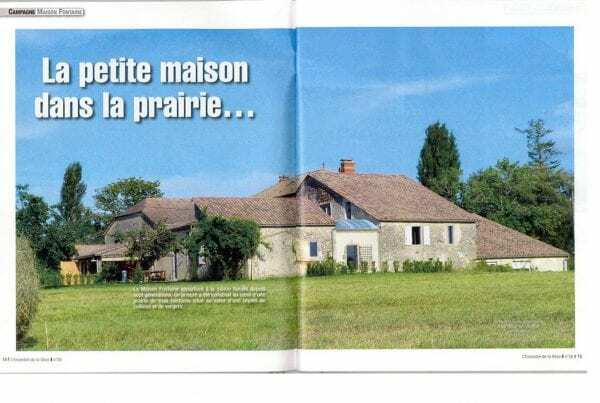 Dear Frederic and Fabienne, what a lovely house! We have had a wonderful time here at Mounicat. You have made here a beautiful holiday home. Everything works. It looks beautiful, is very homely and the design deserves an award. Our 2 kids ( 4 & 2) do not want to go home !!! They have had so much fun and so we have. The whole family enjoyed their stay immensely. We had sun, fun & thunderstorms ! The cottage was AMAZING. Sitting at the terrace with a bottle of wine was perfect. We arrived needing a rest and sun and your villa gave us both and are very appreciative: thank you ! We get to enjoy the local countryside through all the walks we did. The one starting at the end of the road was very convenient ! 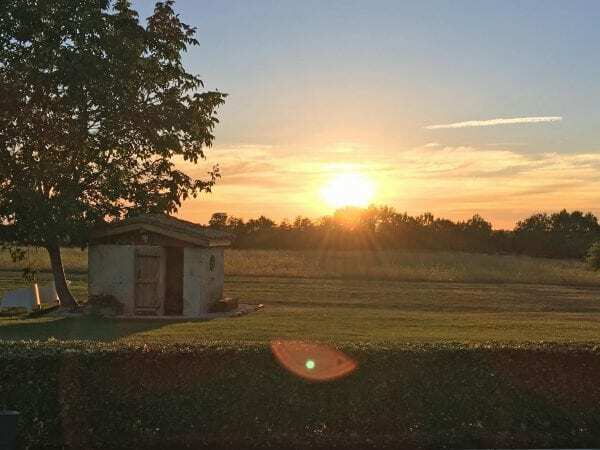 Duras has a few hidden spots that we enjoyed more than St Emilion or Bergerac. The chocolate shop were you can taste everything, the rose garden and the market being a few. There was little reason to stay inside. Next time we will do a day in Bordeaux but just weren’t feeling it once we get into the swing of laid back French living. Thank you so much for your generosity! such a welcome surprise on arrival to house a few goodies waiting. The bread and camembert didn’t last long. 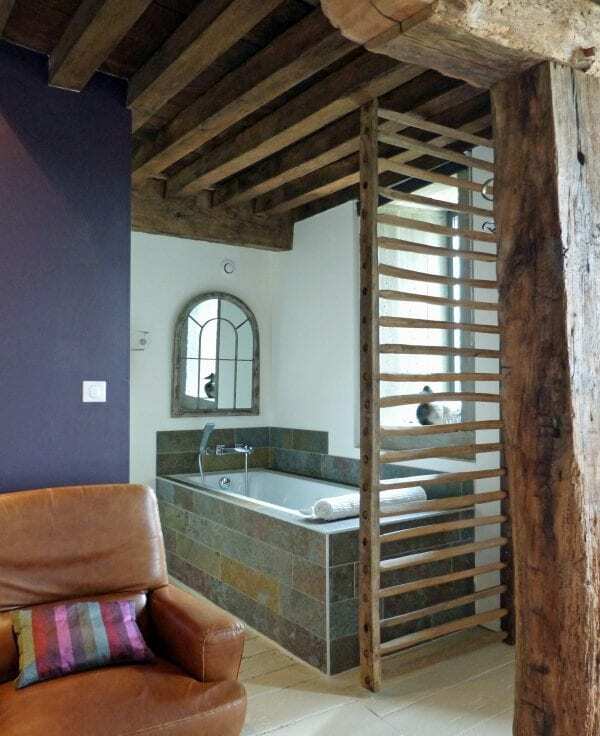 The house is beautiful, such a seamless marriage of rustic and sleek design. We love the outdoor living area, what a perfect setting to spend our days. When the sun didn’t shine, it was a blessing as we love ourselves away from the villa to explore the area in search of entertainment for the kids ( all under 5 !). We were not disappointed: griffon farm park, the forest ropes adventure & val de gorse. Such a great area of France. 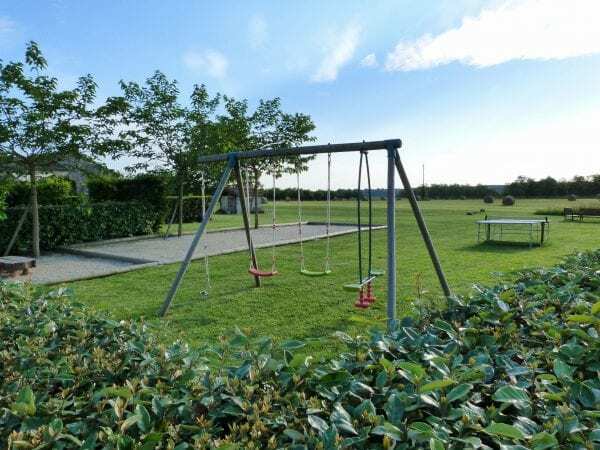 At the villa, when the kids weren’t in the pool there was never a dull moment as this place is a kid paradise from the thoughtful toys , swing set, football posts, boules court & the kids room just all kept the excitement building over ! Our week came to a close to soon ! What a peaceful setting ! Such a rustic elegance! 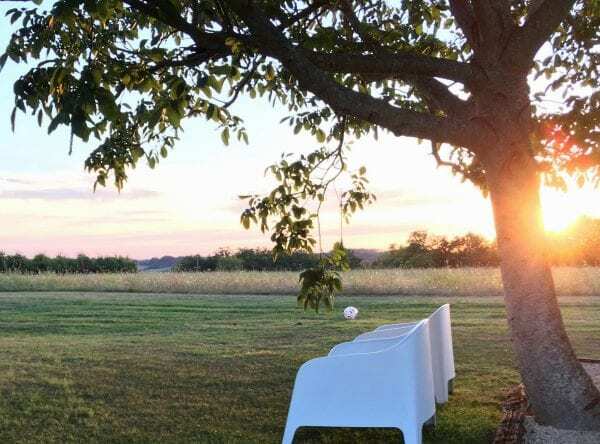 I found it hard to leave in the evening to dine out in the town because the sun set the patio and was so inviting to watch as the sun set into the hills beyond the meadow. Thank you very much Fabienne & Frederic for the wonderful welcome surprise of so many treats: wine, cheese, fraises, biscuits , bread and milk. you are so kind. I also appreciated the special touch of flowers in each bedroom & the dinning table. 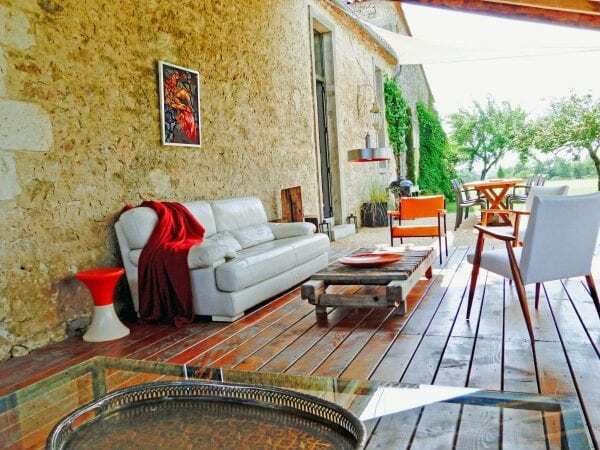 I have rented houses in several places in France, Europe, the US and I have not found any to have come close to being perfect as this house ! We do hope to return some day! We have had a really enjoyable week in your beautiful house. 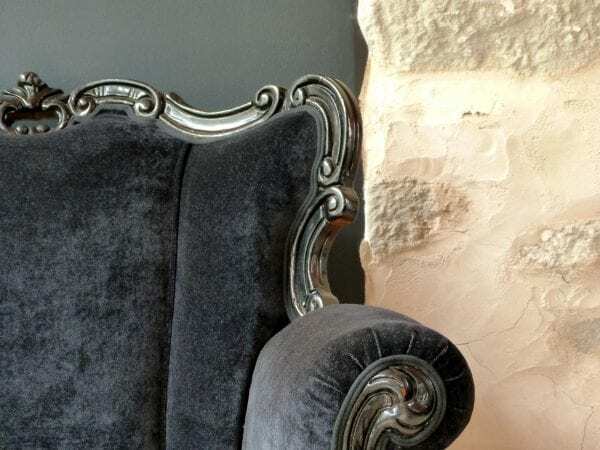 The attention to design details is superb, from the soft furnishings to the flower arrangements and beautifully selected art and furniture. 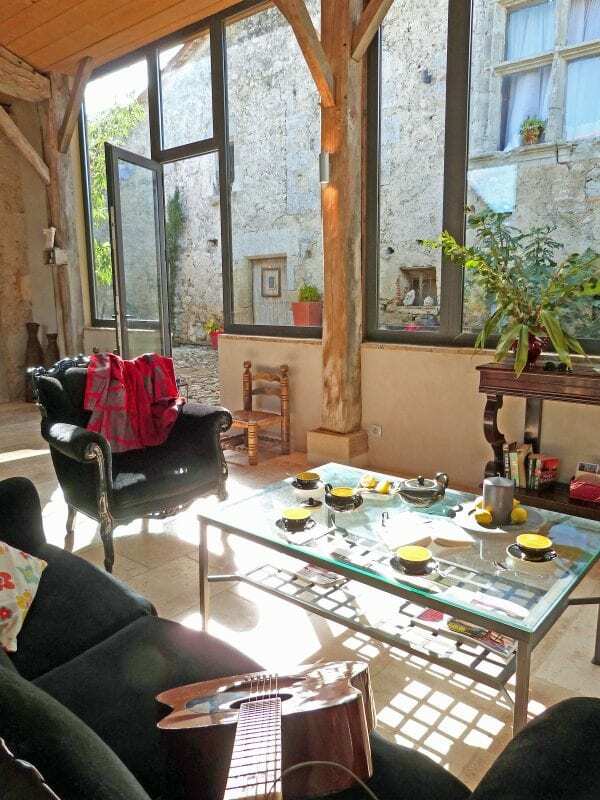 The light and space in the living room has been a joy every morning and we have spent many happy hours around the table enjoying the wonderful local wine each evening. The kitchen is well equipped and we found it easy to prepare meals for nine of us. The children have had fun in the pool, playing games and visiting horses at the bottom of the field. We loved the outdoor seating area which has provided a grown-up space where we can watch the children in the pad. Such a great house and loved your house.. weather was exceptional !!! Fabulous week despite the English weather! The wonderful villa and surroundings were there made up for it. First holding with our grandson, loved the pool and the wine and French food. We will be back ! We have had a wonderful relaxing stay in this beautiful home in a perfect location.the added bonus of a gorgeous cat and her kittens greeting us each day has made it even better. 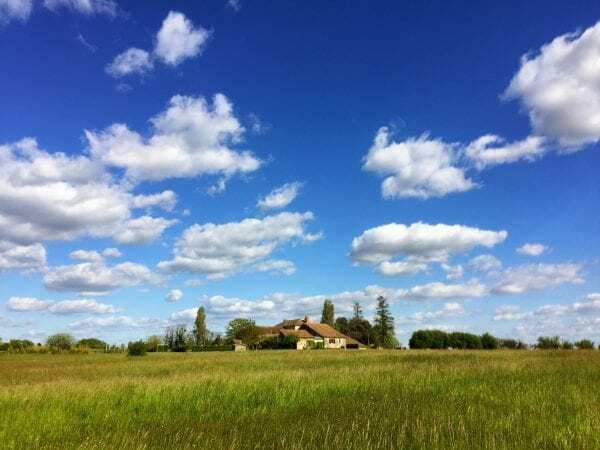 Frederic & Fabienne have been helpful, chatty and discreet; We have visited St Emilion ( X2)Bergerac, Monsegur and Eymet and the drives to each places have been a pleasure in themselves due to the stunning scenery. 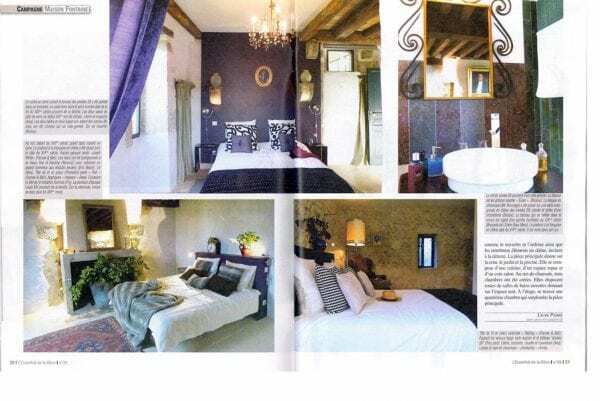 It was really lovely staying in such a beautiful villa.We visited St Emilion and went out to delicious places to eat. We have stayed here twice now and thoroughly enjoyed our trip. All rooms and pool were stunning !!! We had a fantastic time in this lovely house. 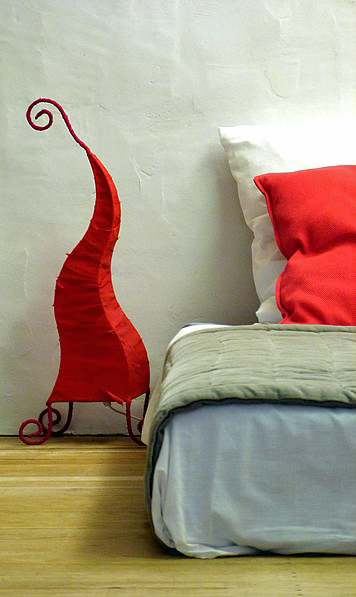 The house was perfectly equipped, nothing was missing and we loved the decoration. We’ve been using and enjoying the pool very much. Kids could run safely in the garden and play football. We had a fantastic family holiday with beautiful weather- if a little too hot at times ! 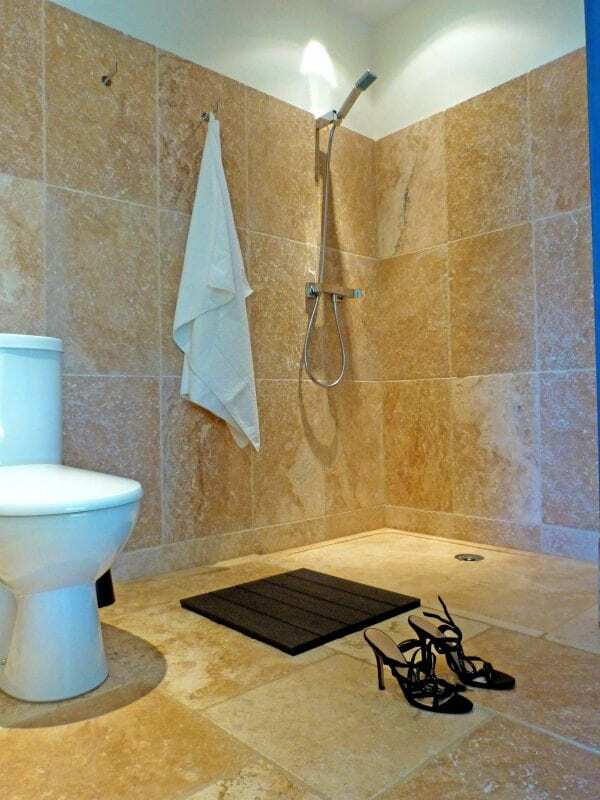 Great house and facilities for the family in a fab location. Enjoyed St Emilion and topping/dinning in Bordeaux. 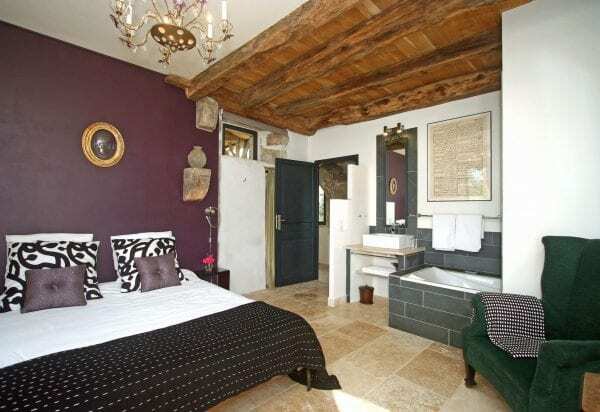 Maison Fontaine is a fabulous house, beautifully decorated and extremely well equipped. Everything we could ever need is here. We had some warm weather so the pool had a work out and the under covered area was the perfect place fro pre dinner drinks ( and others). Two of us had stayed in the general area some years ago so it was fun visiting hamlets and villages like Duras and Eymet. 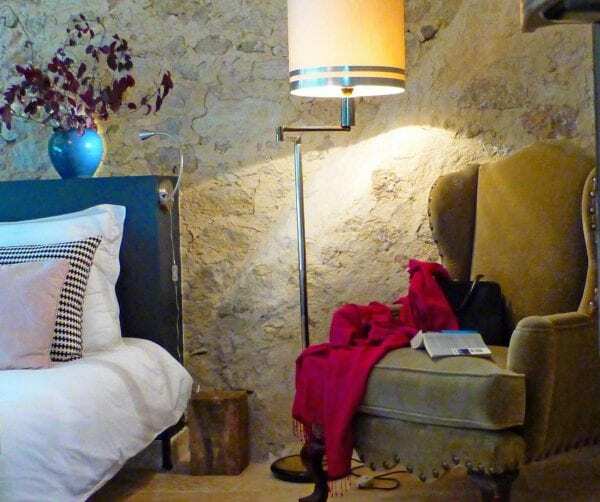 We can endorse Frederic’s recommendation of Auberge St Jean and XIII clôchers at Monteton. As a result we are all returning home considerably heavier than we we arrived. 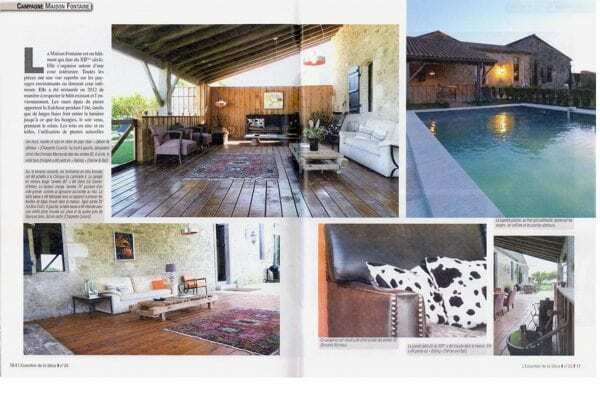 Our thanks to Fabienne and Frédéric for making this lovely property available to us. We hope to be back in the not too distant future. We’ve had a perfect stay in this beautiful house. Such a warm welcome with flowers in each room, a welcome package and everything so nicely decorated. We’ve enjoyed the pool, when the sun appeared and went to St Emilion (and surrounding areas) and to Bergerac. Especially St Emilion is a nice (although very touristic) village. 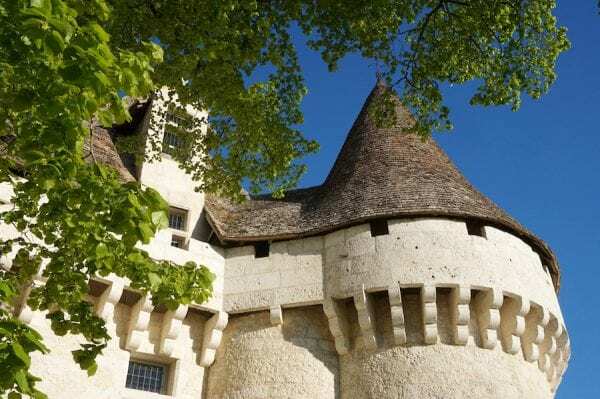 Of course we climbed the tower of the Duras Castle and shopped at the bakery and the Carrefour Contact supermarket in Duras. Thank you very much for letting us enjoying this hidden gem. Really enjoyed our 2 week stay in this beautiful gite, so full of character, history and stunningly restored and furnished with every comfort of home. Frédéric and Fabienne could not have been more welcoming and helpful responding promptly to care for our every need in the friendliest of ways. 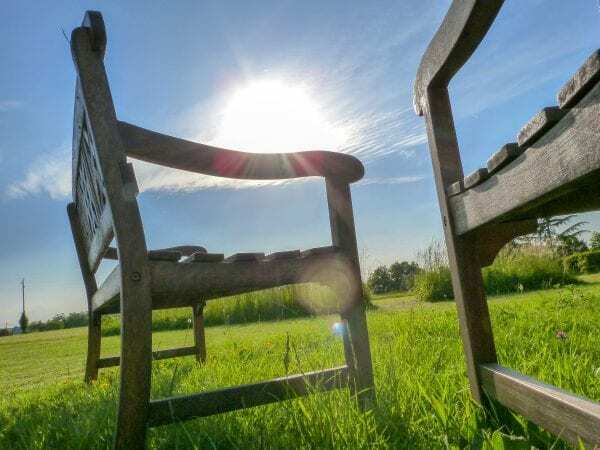 We had a great time in the pool, playing badminton, table tennis and relishing the space and wildflowers and butterflies in the uncut grassy areas. The delicious ingredients in our welcome pack were much appreciated. 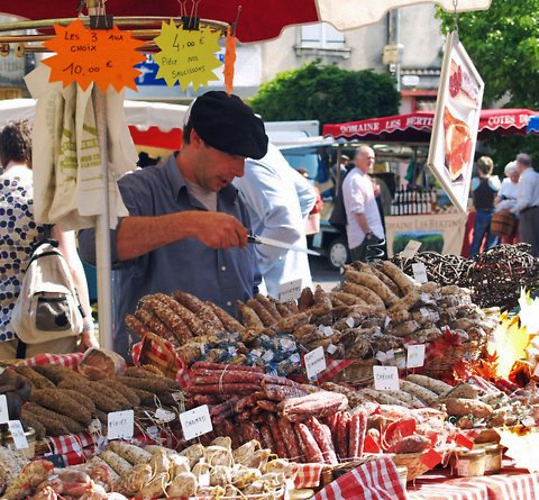 In the area we loved visiting the night market at Monsegur and various day markets Eymet, Duras etc. It was great to enjoy the beautiful fresh tomatoes and bread we bought at St Foy La Grande in a picnic there on the banks of the Dordogne. We had a wonderful pastry day here with Lydie of So Sweet, followed by her providing us with a vegetarian 3 course gastro dinner, here at Maison Fontaine. She’s a lovely person! The bicycles we hired have provided hours of fun and exercise visiting the local villages and beauty spots and the provider too was most helpful. We are sad to leave Maison Fontaine but hope to return very soon. Many thanks Frédéric and Fabienne for sharing your beautiful gite with our family. 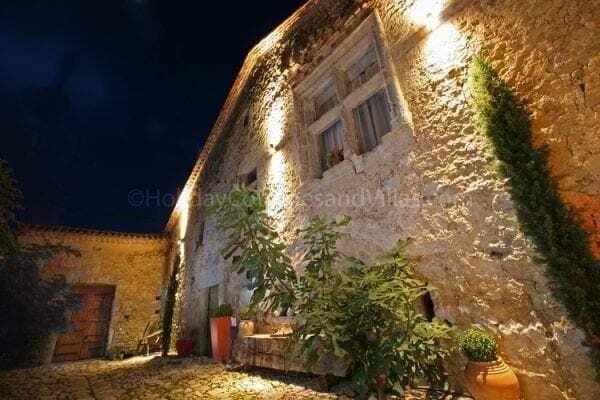 The owner has done a superb job of renovating this property, parts of which date back to the 13th century. 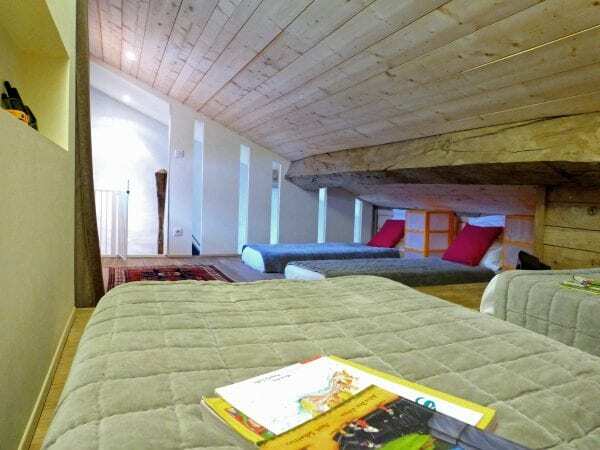 The three double bedrooms all have very comfortable beds. Kitchen is one of the most well equipped I’ve seen in a holiday home, everything you could possibly need. TV room has flat screen TV, DVDs player and a satellite box that picks up 4 main UK channels (no C5) plus several others (CBBC, ITV2 etc.). The pool is wonderful and is very well maintained by the owner, who was always on hand, but never intrusive. Local town (Duras) has a very good baker, butcher and at least 3 well regarded restaurants. A wonderful and relaxing holiday home. “What a wonderful 2 weeks – pity about the sunshine !!! Thank you Frederic for all your assistance and kindness. “Thank you for this wonderful 2 weeks of bliss in you beautiful surrounds. We have seen all there was to see…eaten all there was to eat… and drank way too much!!! 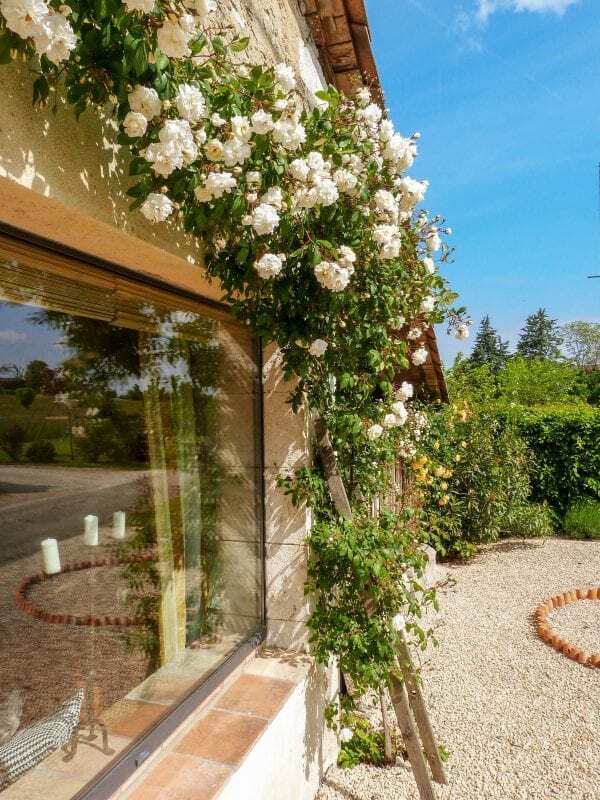 “Frederic and Fabienne are the most fantastic host, nothing was too much trouble. Fréderic’s Wine Tour of Off Piste chateau was phenomenal. A whole 12 hours talking about Wine !Delightful vineyards visited. A real must! The recommendations of local restaurants were very helpful. The Micheline starred Auberge de St Jean was a highlight, well worth a trip. “We have had a real wonderful stay here in this beautiful house. 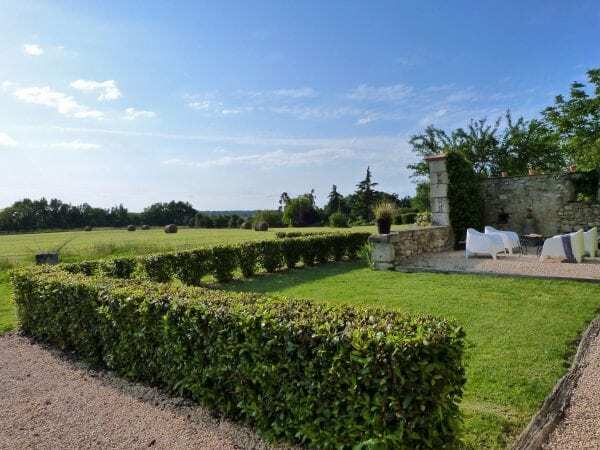 Frederic and Fabienne have been really helpful and really helping us finding gorgeous restaurants and deciding were we should explore in the local area ( we recommend St Emilion) The house is amazing and had everything we could wish for. Our 3 children had a great time in the pool or playing football, tennis table or cricket in the garden. “We’ve had a lovely week spent in this fabulous Villa, especially enjoyed all the outdoor space ! 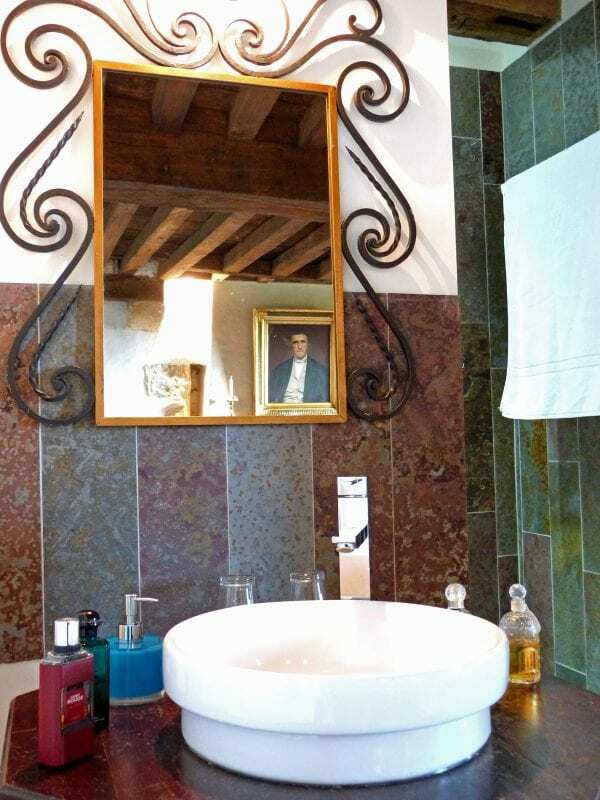 “It was such a pleasant stay in this beautiful and immaculate chateaux. Frederic and his wife were such great host and their hospitality is beyond words. “We had a wonderful family week here ( eight adults, two babies and a three years old). What a beautiful house and setting. We really appreciated all the toys and sporting equipment, thank you. 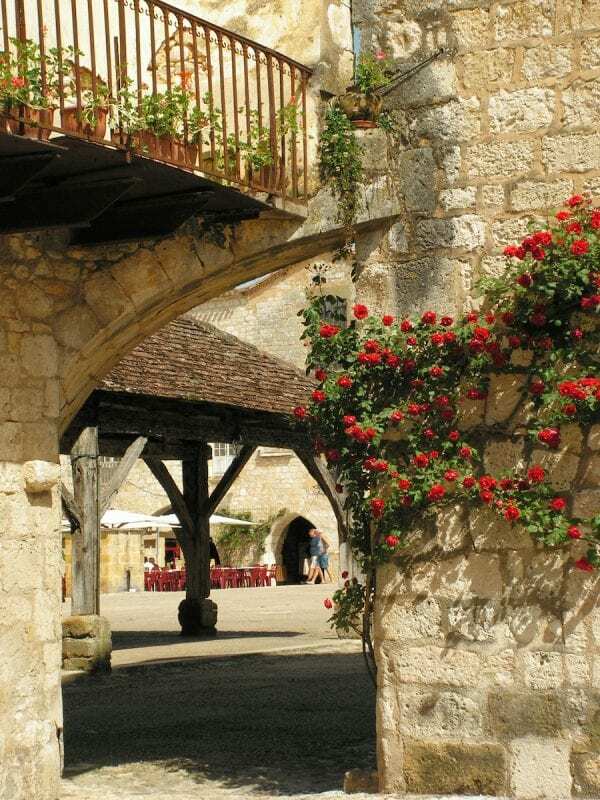 A visit to chateau Duras ( without push chairs) and to Monday market are highly recommended. “Thank you Frederic for all your help. Matt loved the eel traps ! “What a great house! We really enjoyed our stay here with 3 couples + 2 kids. Frédéric you are a great host, finding the strawberries and cheese in the fridge, good tips for a day trip! We all want to come back for sure ! 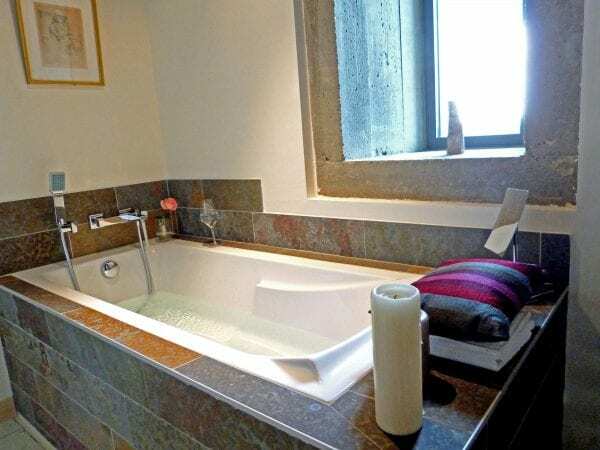 “Another lovely stay in peaceful, beautiful surroundings- all feeling very relaxed and happy. “We’ve spend super holidays and everything was just perfect! Thanks for welcoming us. Our children loved the toys, the garden as well the house. We will recommend your house. 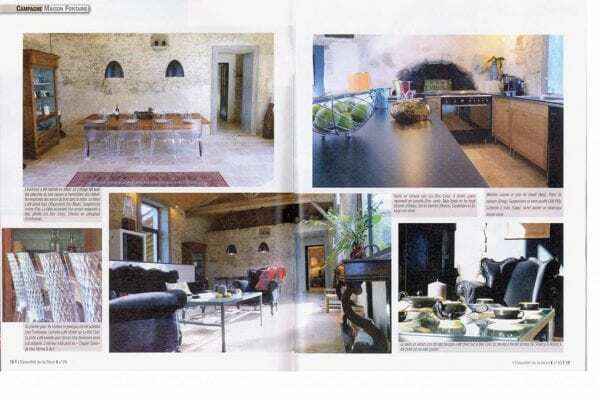 “We have just left Maison Fontaine today and what an incredible place it was. None of us wanted to leave! 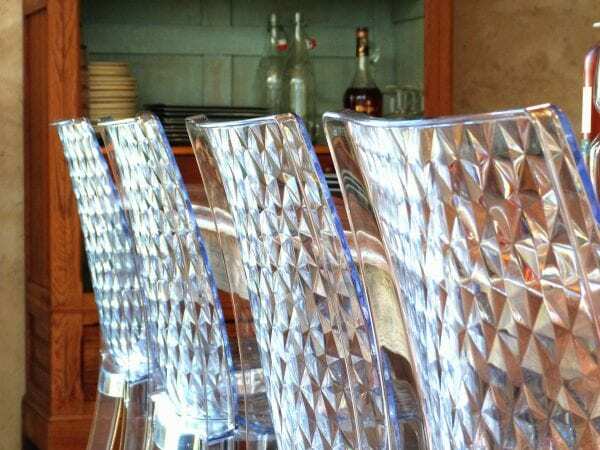 The attention to detail, comfort and cleanliness is second to none. Frederic is a fantastic host and so friendly and willing to assist and make some suggestions of where to visit and what to see. 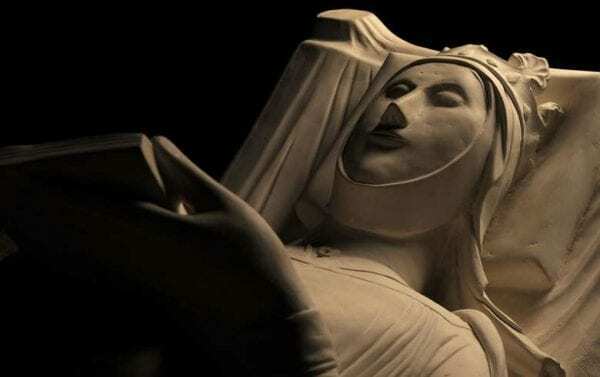 We will be talking about Maison Fontaine for a long time to come. “A huge thank you to you both we all had a perfect time, I am so relieved to have found somewhere that could work ! 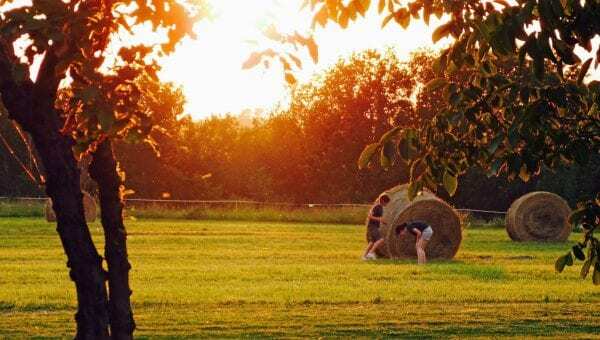 Having not had a holiday for so long as I couldn’t find suitable accommodation it was just the best the first holiday I didn’t want to come home from! Thank you again Frederic, I am so grateful, now trying to make a plan for next year!! !